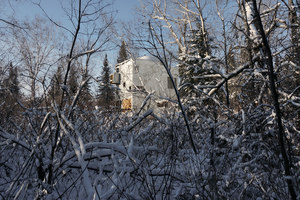 Geopolitical turbulence isn’t the half of it. 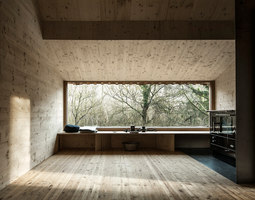 Factor in the increasing stress levels that attend modern urban life, not to mention winter and its vitamin-D-stripping cruelty, and you’d be forgiven for wanting to seek out some splendid isolation. 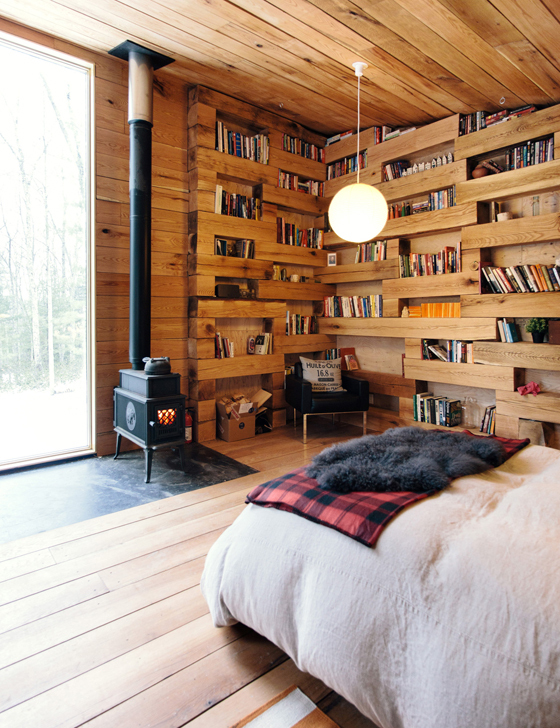 Man, nature, and a whole lot of wood. 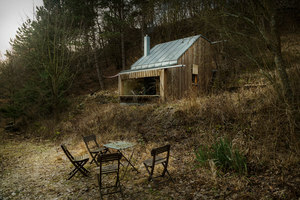 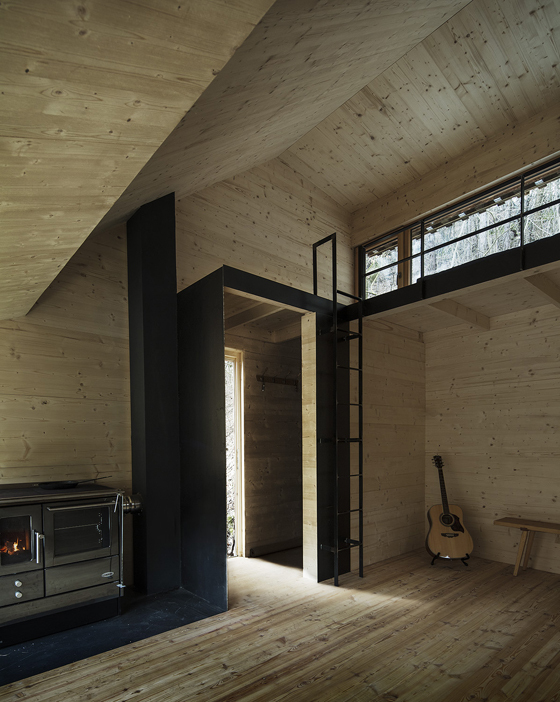 A raft of architects internationally have been getting back to basics recently, rediscovering the joys of designing cabins – predominantly timber structures out in the wiles – for clients motivated by a desire for physical recuperation, mental relaxation and creative inspiration. If you go down to the woods today (to quote the old ditty) in Austria’s Wienerwald municipality, you might just come across architectural office Raumhochrosen’s compact wood cabin designed for a life coach who wanted to take a break from, well, life. 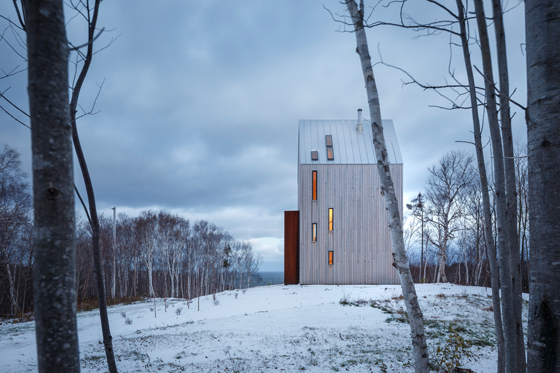 Conceived of as a retreat from city living, the angular, prefabricated structure, named Tom’s Hut, is situated on an uneven slope and features shutters at the front and rear that can be dropped to reveal large picture windows. 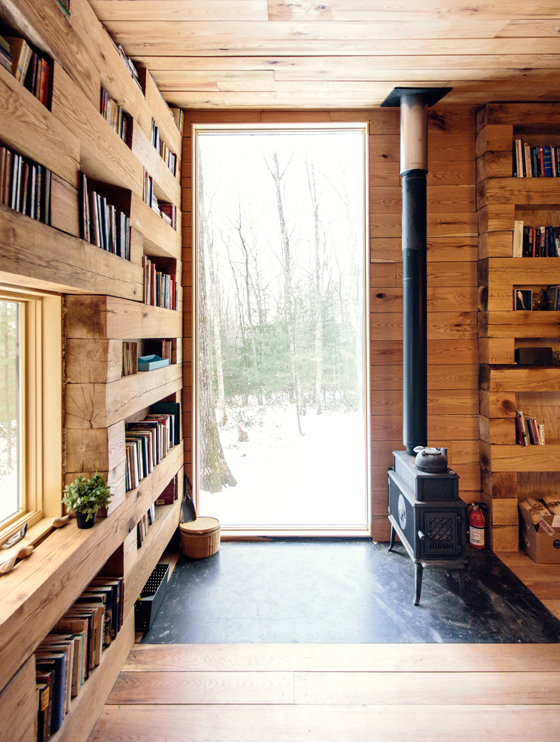 The outside steps inside in Upstate New York, too, thanks to Studio Padron’s small, oak cabin – Hemmelig Rom (Norwegian for ‘secret room’) – which functions as stand-alone guest room and library on the grounds of a holiday home. 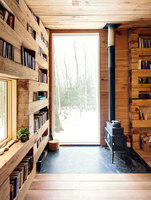 With two large windows that allow generous daylight to penetrate the one-room structure, its construction consists of horizontally stacked logs, rectangular in profile and with niches that function as book shelves, clad externally in vertically oriented black timber. 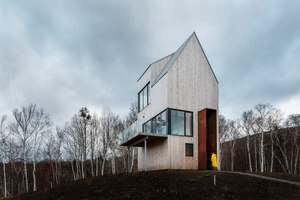 The vertical emphatically characterises two further cabin projects – both on a larger scale, but with a modest footprint. 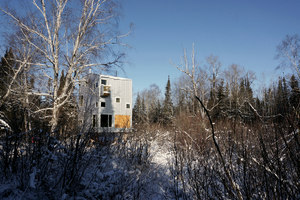 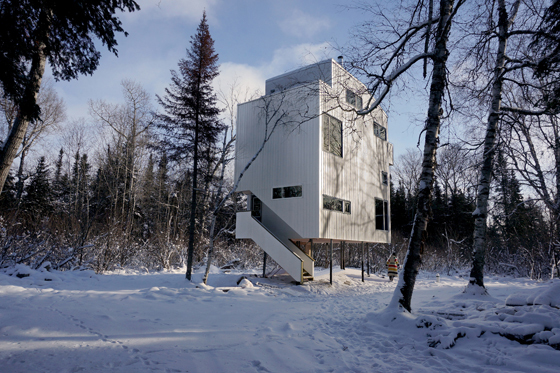 Canadian office DIN Projects’ Manitoba Pole House (the clue is in the name) sits on a set of pilotis made of recycled gas pipes, given the surrounding high water table. 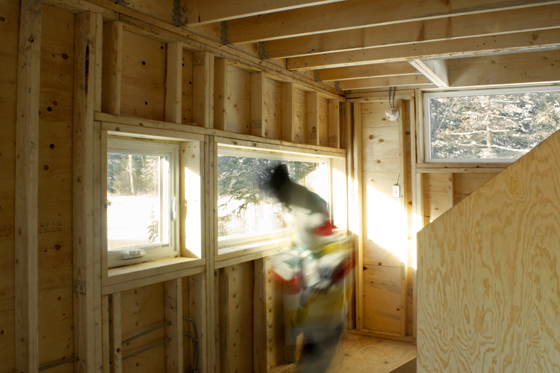 The timber structure’s interior foregrounds its construction, leaving its frame, studs and plywood sheathing exposed. 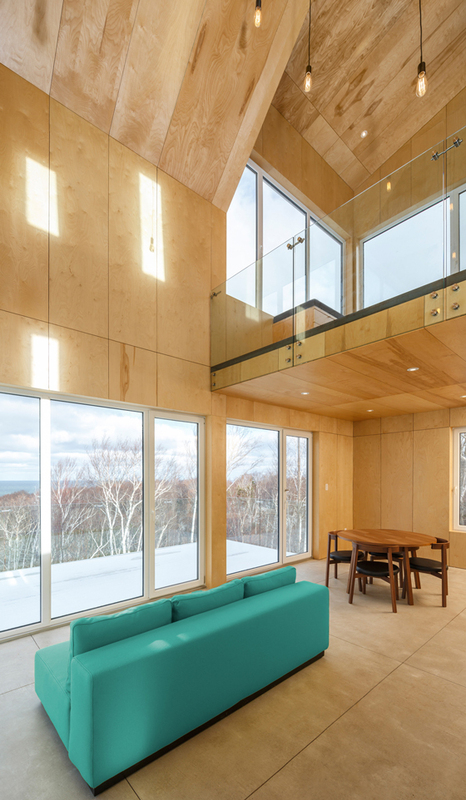 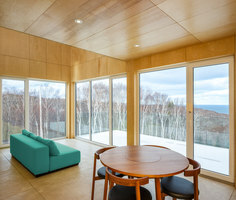 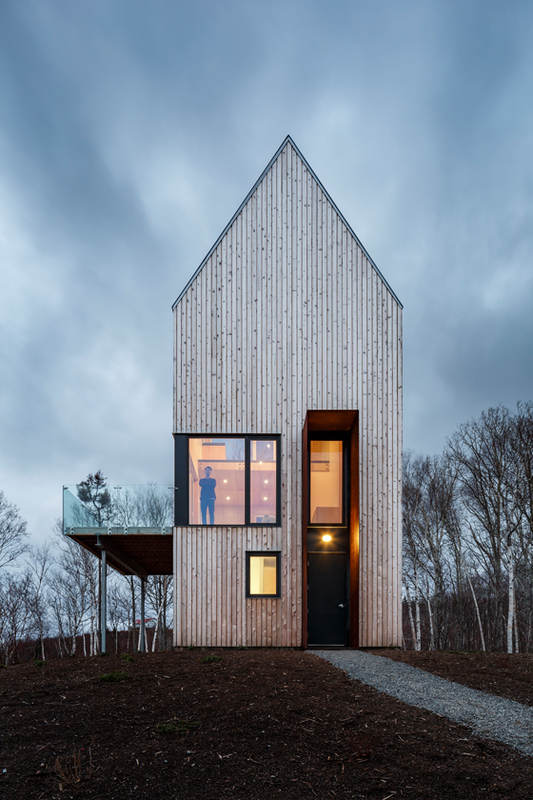 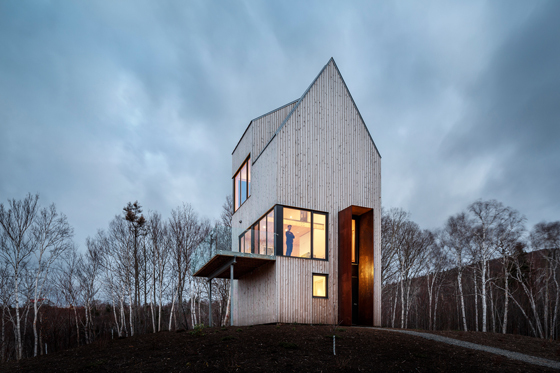 Still in Canada but on the Nova Scotia coast, Halifax-based architect Omar Gandhi and New York studio Design Base 8 have completed a timber-clad cabin that takes a cue from local vernacular architectural forms. 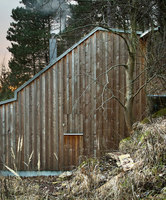 Named after its location, Rabbit Snare Gorge, the barn-like structure, with archly gabled roof, is organised over three storeys and features an entrance framed in corten steel and a first-floor balcony. 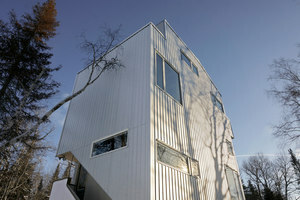 The building’s exposure to the harsh elements is mitigated by the use of braced panels throughout. 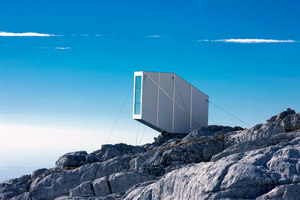 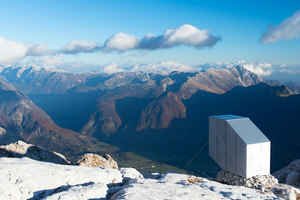 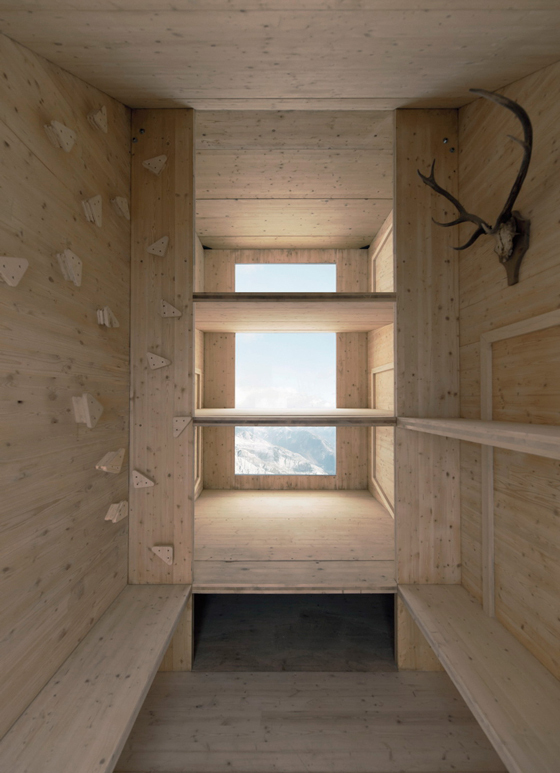 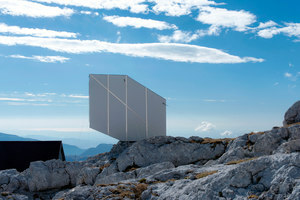 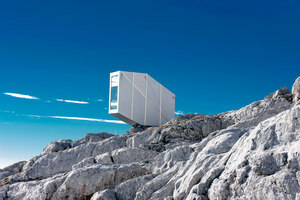 But when it comes to exposure, there’s perhaps no cabin more out there than OFIS Arhitekti’s dramatically cantilevered micro cabin in the Slovenian mountains, which, prefabricated, was airlifted into place by the local army. 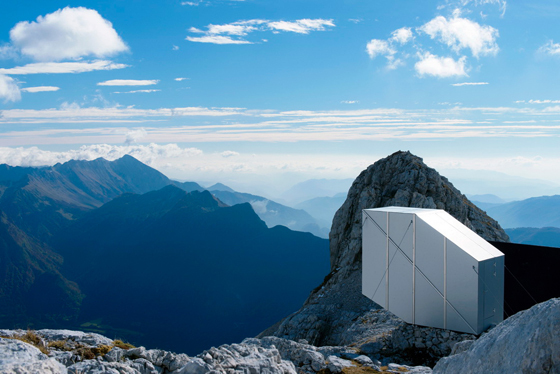 The 10-square-metre structure, clad in aluminium and designed to provide refuge for intrepid climbers, ‘hangs ten’ on the edge of Mount Kanin, secured in place by cables. 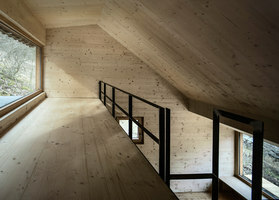 Inside, the timber-lined structure features three wooden bunks for weary alpinists, which adjoin a large panoramic window.